Where can I see how the game is developing? The best place to track how development is going is through our vlogs and checking out our roadmap. We try and be as transparent as possible, and showing you what is happening inside the studio is the biggest way we do that. You can subscribe to our YouTube channel here, or watch one of our most recent development vlogs below! 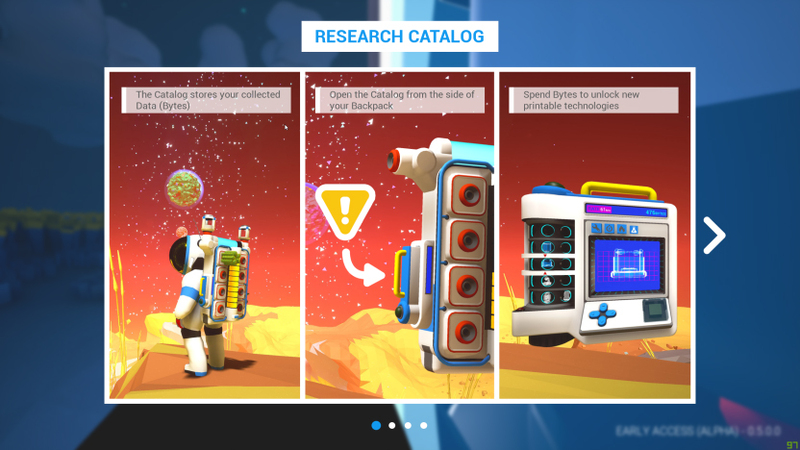 I found a bug in Astroneer! What do I do? The single most helpful thing you can do is head over to our forums and let us know. More often than not, someone else has run into the bug you are seeing, but you might have info to help us crush it! Stuff like, what you were doing when you encountered the bug, providing steps to reproduce it, and specs about what kind of hardware/OS you are using can all be vital to helping us track down its cause and get it worked out. I love the game, but I am seeing performance issues after playing for a while. Why? 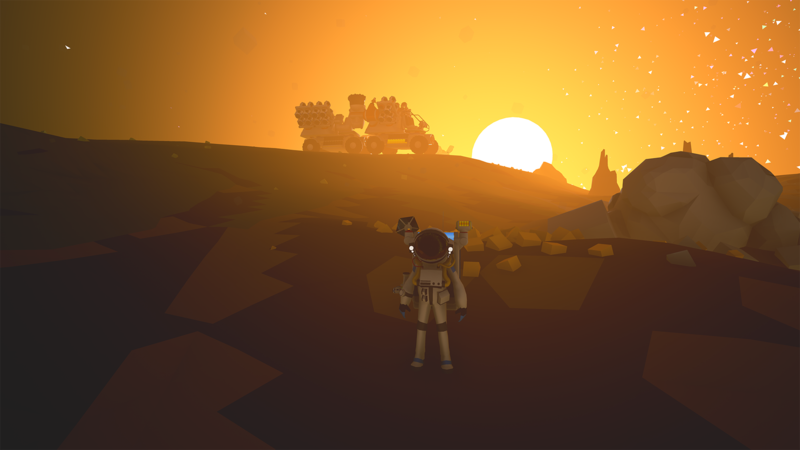 Because Astroneer allows you to deform entire planets and place as many things as you want into the world, performance can degrade over time as your bases get bigger or you cover lots of ground. Although we do develop with performance in mind (just ask Zabir) we simply cannot spend the amount of time we would like optimizing the game every update for both platforms. That being said, we are always trying to make performance better as we go. Every month during bugfix week, the team looks at smaller ways they can make tweaks that will impact the game without pushing back deadlines or content. When we get closer to 1.0 we will do a full performance pass and are committed to delivering market standard framerates, more options for tweaking graphics settings and providing a high level of detail at great distances. I am playing but I am not sure how to do something. How do I find out? While we continue adding large new features to the game, there will be a bit of a learning curve with new content. The Research update fundamentally changed the way the game is played, and old players coming back might have been a bit overwhelmed. For this reason, we added a tutorial “cheat sheet” into the game that you can invoke anytime by pressing “F1” or the “View” button on Xbox One! We also know that it is not always enough. In the future, we hope to have more in-game tutorialization to make sure players know exactly what is going on. For now, let us recommend some great content creators out there making videos & streaming about new Astroneer content. We made a playlist of some videos that might help you on your quest to become the best Astroneer. I have an idea that will make Astroneer better! One of the best parts of the Early Access process is that we are still in development. If you have feedback or ideas that you want to see in the game, once again, the forums are the best place to get your ideas heard and tracked. There is an entire subforum dedicated to putting your suggestions out there, as well as discussing them with others. If you already see your idea there, don’t fret! Just respond with your thumbs up to let us know more people want to see a certain feature or item. It is one of our most posted in subforums, and we appreciate all of the input! Thanks for reading! Hopefully, this clears up some of the most burning questions you have, but you can also ask me questions anytime on Twitter, or jump into the Astroneer discord where a member of the community is almost always there to provide an answer.